Finding aid only for Manuscripts Small Collection 3278. Letters to Lucy Ann Robbins Ligon, the daughter of Fulton County, Kentucky judge Josiah Parker and his wife Lucy A. Parker, written while she lived in Crittenden County, Arkansas with her late husband’s brother, and in Hickman, Kentucky after her remarriage. Lucy’s parents relay news of her siblings and of pre-Civil War Hickman, and at the outbreak of war dramatically describe the division of loyalties, the townspeople’s fear and uncertainty as invasion threatens from the North, the enlistment of local men, two destructive fires, economic conditions, the suspension of the courts, and their yearning to reunite the family in the event they have to “die together.” Other letters to Lucy are from a close friend describing his Union Army service in Tennessee and the clash that killed Confederate raider John Hunt Morgan, as well as life in post-Civil War Nashville; from her friend Hattie Binford describing her courtships and marriage preferences; and from a suitor. Lucy’s brother Matthew dies during his Union Army service and her brother-in-law Curtis Robbins warns her not to enter into a second marriage with a secessionist, but a letter from her second husband relates his experience of battle while in the Confederate Army. 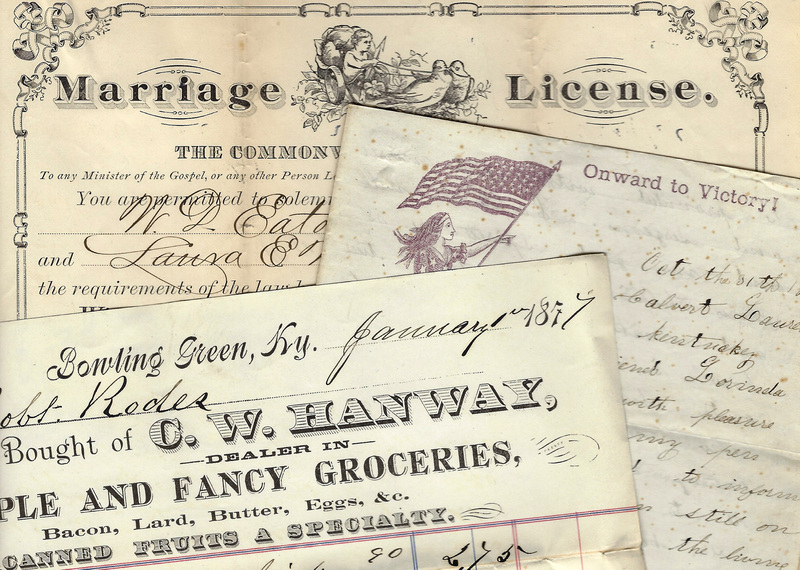 Folklife Archives, Manuscripts &, "Ligon, Lucy Ann (Parker) Robbins, 1833-1891 - Letters to (SC 3278)" (2018). MSS Finding Aids. Paper 4512.